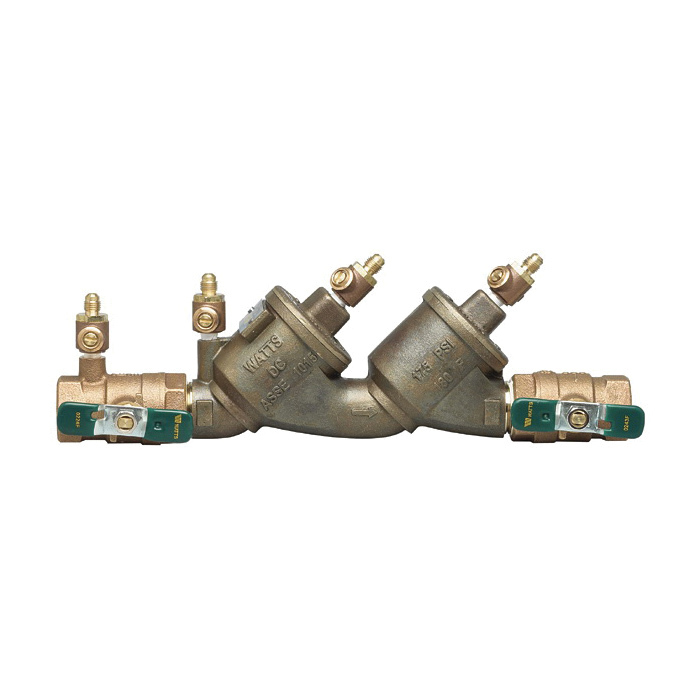 Series 719 Double Check Valve Assemblies are designed to protect drinking water supplies from dangerous cross-connections in accordance with national plumbing codes and water authority requirements. It consists of a bronze alloy body construction and chloramine resistant elastomers. Series 719 features a separate access, top-entry check valve design for ease of maintenance and is for use at referenced cross-connections in non-health hazard applications. Check with local inspection authorities for installation requirements.